'Yes, you may adopt me. Pet me now, and give me treats. 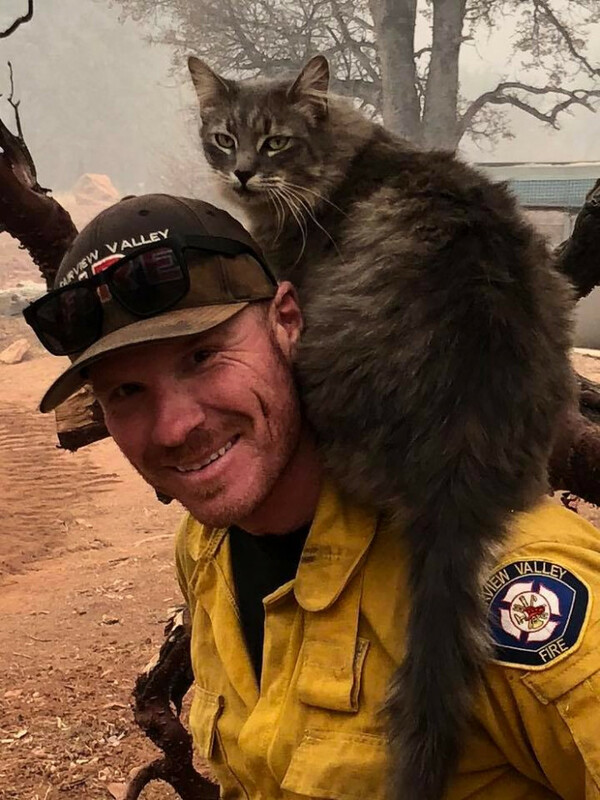 You're welcome', is what I'd imagine this cat would be saying to Ryan Coleman, a firefighter from California. 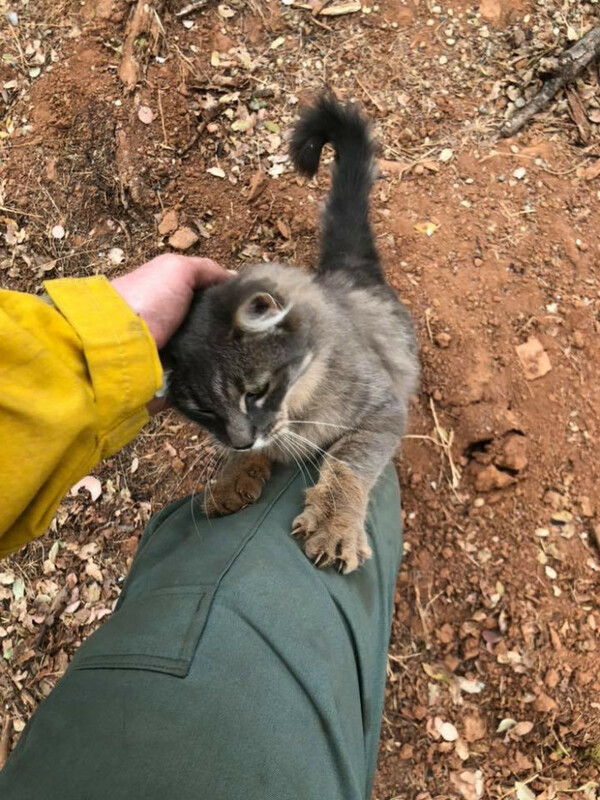 One of the areas that was affected most by the camp fire, known as Paradise, happened to be the place that Coleman came across a lone feline. While some may think that it's a stray, the cat was quite social and affectionate which means that she must have had human interaction before. 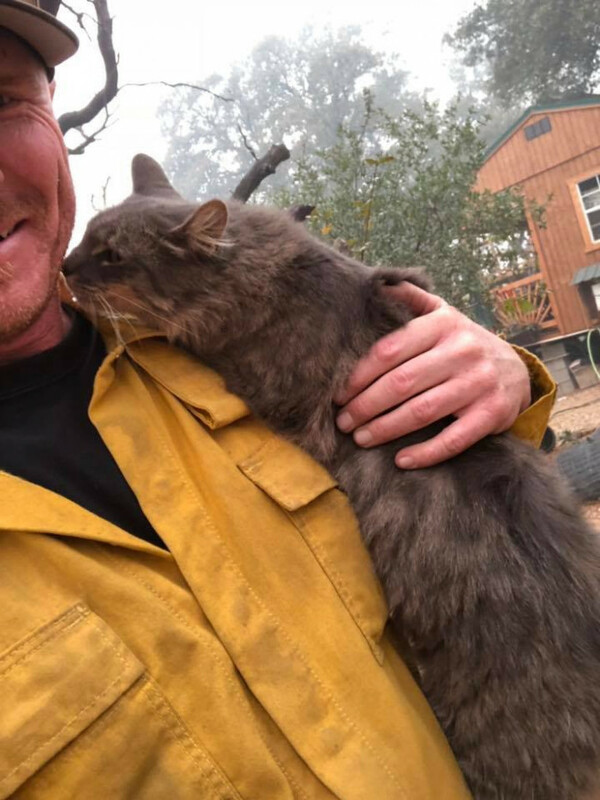 The poor kitty seemed quite relieved to see some life amongst the smoke and fire. Ryan held her up on his shoulder as he walked around the site, looking for other signs of life. More than 2000 families lost their homes during this tragic fire.